To younger music-lovers, the name Christian Ferras may not be well-recognized. 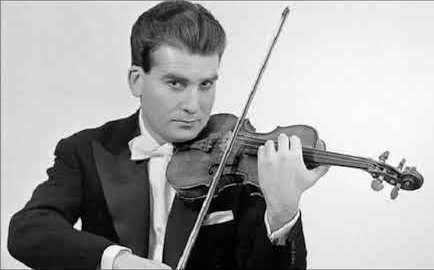 But Ferras, who lived from 1933 to 1982, was one of the finest violinists of the 20th century. 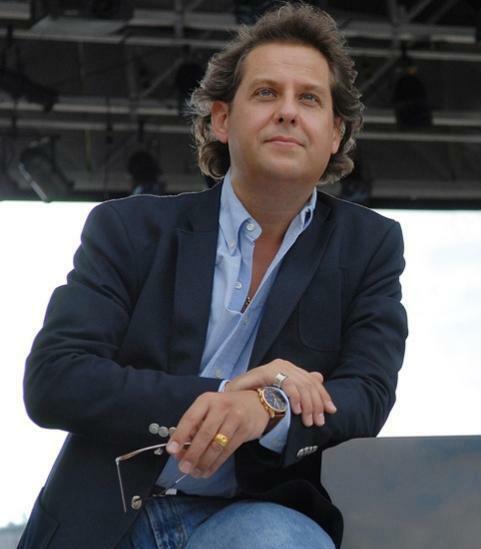 Unfortunately, it was a career cut short by suicide at the age of just 49 years, but during his 25 years on the stage, Christian Ferras established a reputation as an uncommonly fine and insightful violinist. Even today, Christian Ferras’ interpretations of the concerti of Bach, Beethoven, Brahms, Tchaikovsky, Sibelius and Alban Berg are considered non pareil by many music critics. 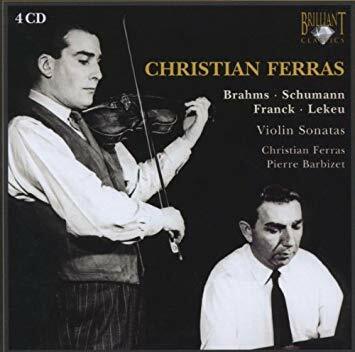 Many of the most famous Christian Ferras / Pierre Barbizet recording collaborations have been gathered together in this multi-CD set released on the Brilliant label. Ferras was also very prolific in performing instrumental music, including the most famous violin sonatas in the repertoire. His keyboard collaborator for much of his career was the pianist Pierre Barbizet, who made many noteworthy recordings with Ferras that remain prized by violin aficionados. Unfortunately, Christian Ferras suffered from acute depression during most of his life, which surely contributed to an alcohol problem that threatened to derail his career several times. In the mid-1970s the violinist stepped away from performing and touring for a number of years, eventually planning his comeback to the stage. For his return to performing, Ferras turned to a new keyboard collaborator – the young French-born Canadian pianist and composer Alain Lefèvre – a rising talent who was studying at the Conservatoire National Supérieur de Musique de Paris in the class of the esteemed instructor Pierre Sancan. Sancan was particularly praiseworthy of the young Lefèvre, predicting a great career for the artist. So it came as no surprise that Ferras would plot his comeback with Lafèvre, beginning with a tour planned for the Iberian Peninsula. Together with his new pianist, Ferras began preparing an ambitious collection of music for the Iberian tour — repertoire that included Florent Schmitt’s amazing (and incredibly challenging) Sonate libre en deux parties enchaînées, ad modem clementis aquæ, Op. 68. Composed in 1918-19, the Sonate was a work hardly ever programmed — and only then by the most adventuresome musicians. Alas, the spectacular comeback was not to be. Mere weeks before the beginning of the tour, Christian Ferras ended his own life. Decades later, the tragedy still affects Alain Lefèvre, who over a span of just 24 months had developed a deep respect and affection for a man whose talents he admired so much. That was clear in an interview I was privileged to have with the pianist following a concert with the Virginia Symphony Orchestra where he performed the 1946 Fourth Piano Concerto of the Québécois composer André Mathieu (Lefèvre has been an ardent champion of Mathieu’s music for more than 30 years). Indeed, the pianist has been blessed with a highly successful international career, performing solo, chamber and orchestral performances on every continent. He presents the “core” piano repertoire while also championing less-familiar creations by musicians such as Mathieu and another Canadian composer, Walter Boudreau. 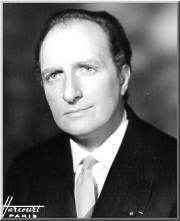 Recently, Lefèvre signed with Warner Classics, for which he will be making a substantial number of new recordings covering a range of varied repertoire. My interview with Alain Lefèvre, a gregarious and open-hearted gentleman, was thoroughly engaging and informative. Highlights of the discussion are presented below. 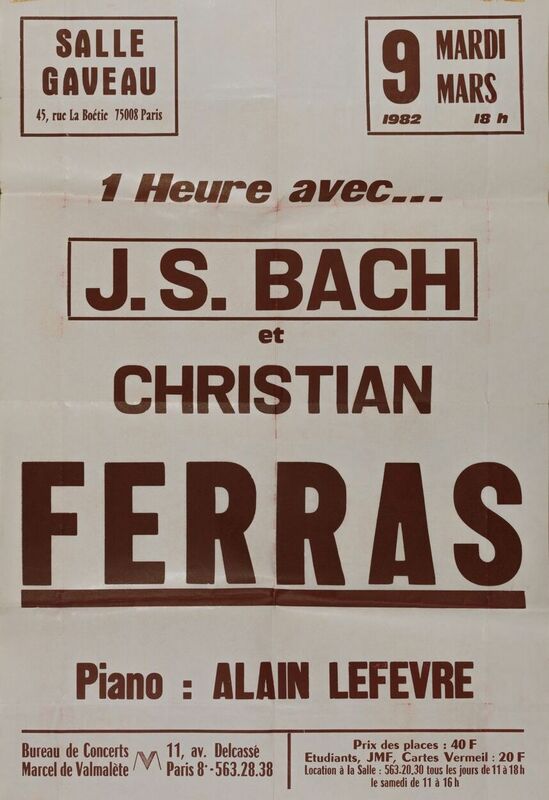 PLN: During your days as a student at the Paris Conservatoire, how did your paths cross with Christian Ferras? 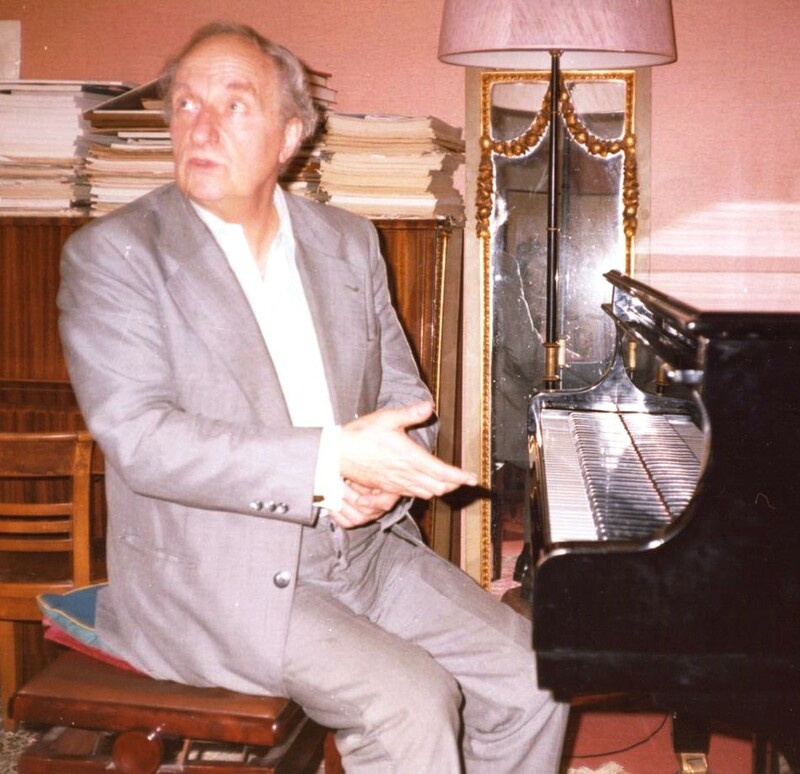 A photo of pianist Alain Lefèvre, taken at the time of his arrival in Paris in 1979. AL: That’s an interesting story. 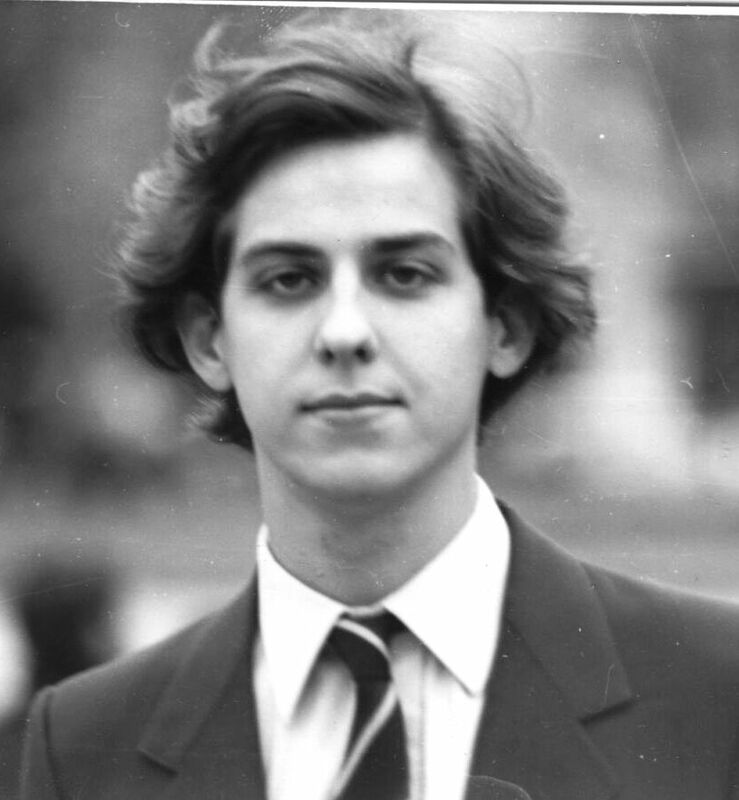 In a few words, I came to Paris in 1979. Shortly thereafter I was asked to participate in a piano competition in Milan. It went very well and I won the prize. Following that, Radio-France engaged me for a piano recital that was part of the prize. I remember that I played pieces by Rachmaninov and Chopin, plus a piano prelude by André Mathieu. Ferras decided that he wanted to do his comeback with me as his pianist. The first piece I performed with him was the Bach Sonata for Violin and Piano, at the Salle Gaveau in Paris. So that was my first contact and activity with him. The Salle Gaveau concert notice (March 1982). PLN: How did you come to study and prepare Florent Schmitt’s Sonate libre with him? 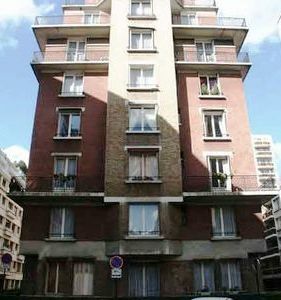 Pianist Alain Lefèvre’s student digs in the 17th arrondissement of Paris (2 Square Emmanuel Chabrier). To reach Lefèvre’s “chamber de bonne” would require Christian Ferras and other visitors to enter via the back door of the building. AL: It was the same process. Ferras proposed doing that piece. Imagine the picture: At 18 years of age I was a poor student, living in a little room at 2 Square Emmanuel Chabrier in Paris. And here was the great Christian Ferras – the Ferras of the fantastic Sibelius Violin Concerto recording, which is considered the best one by so many people – and also Ferras, the champion of new music – the man who gave the French premiere of the Alban Berg Violin Concerto. Pierre Sancan, photographed during the time he mentored the young Alain Lefèvre at the Paris Conservatoire (1980-82). 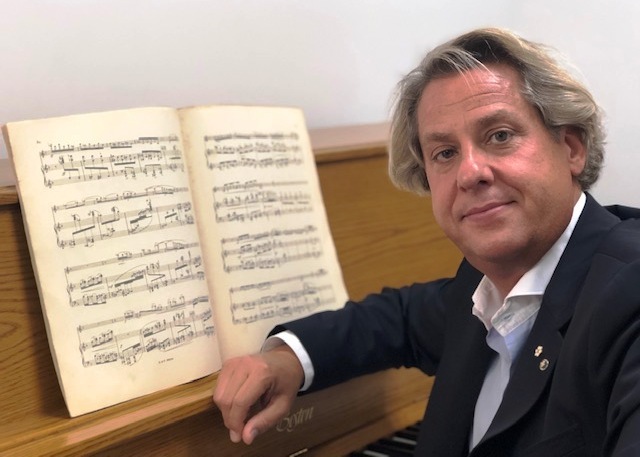 Immediately I thought of what my piano teacher, the great Pierre Sancan, had told me about Florent Schmitt’s piano music – about how terribly difficult it is! But Ferras was adamant. And so we started preparing together, in my little room. We worked on the Grieg, the two Beethoven, the Franck, the Bartók – and then we started on the Schmitt. 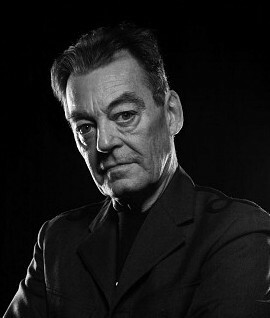 PLN: What do you think attracted Christian Ferras to the Sonate libre? 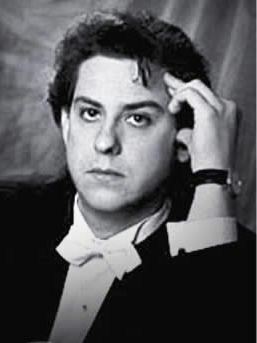 AL: Ferras felt that it was too repetitious to perform only the same violin repertoire that’s always presented – Beethoven, Brahms, Franck, blah-blah-blah. He was coming out of a pretty terrible period in his life and he wanted to do something more than just the standard pieces. When we started to work on the piece for the tour, it was absolutely fantastic. PLN: What were your own impressions of the Sonate libre when you first encountered it? AL: For me, it was enormous work. People always say that the Franck Sonata is challenging for the pianist. They say that the Bartók is difficult for the piano. But those pieces are nothing when compared to the Schmitt. The Sonate libre is amazingly difficult – not just technically, but also in the way that it’s played. The piano should never be “above” the violin. There’s also a lot of “mystique” in the piece, and Ferras and I tried to understand that, too. The music is like a tapestry. PLN: So, how did the rehearsing work out? A young Alain Lefèvre, photographed during the time he worked with violinist Christian Ferras. AL: We worked and worked on that piece, getting it into shape. But just two or three weeks before we were to start on our tour, Ferras committed suicide. Just 49 years old. It was very sad. So, the tour never happened. It’s difficult to speak about it even today without getting emotional. Many times, I’ve thought that I should have recorded my rehearsals with Ferras, because they were so extraordinary. He would tell me, “Alain, I’m not playing well today.” But in reality, his playing was fantastic. The intelligence of the man – the playing and the sound that he brought to the Schmitt Sonate in particular – it was unbelievable. I don’t want to speak ill of the recordings that exist of this music, but his playing was in a different league. 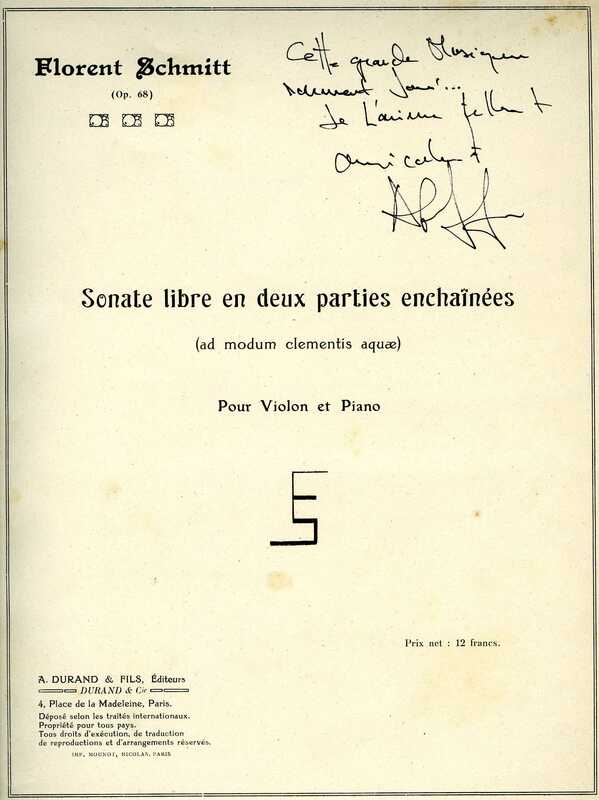 A vintage copy of the score to Florent Schmitt’s Sonate libre, inscribed by pianist Alain Lefèvre. PLN: Do you know if Christian Ferras had performed the Sonate libre before you began to work on it with him? AL: We haven’t found evidence that he performed this music in recital, based on the program booklets that have survived. But there are people who are quite sure that Ferras did play this music at some point. I suspect so as well, because when we rehearsed together, Ferras would point out certain things, noting how certain parts of the score were particularly difficult or tricky. From this, I know for sure that he knew the Sonate – that he had studied it even if he’d never performed it in public. 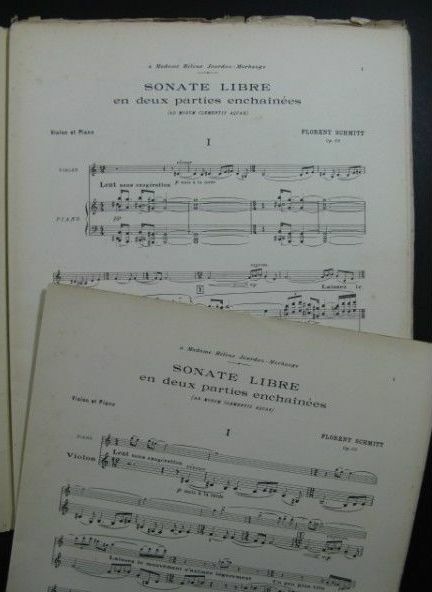 PLN: For decades there was just one commercial recording available of the Sonate libre, made in the late 1950s. But in recent years there has been more interest in this music, and the newest commercial recording, due out in November, will be the fifth one of the piece. To what do you attribute this increase in interest? Alain Lefèvre at the piano with the score to Florent Schmitt’s Sonate libre (2018). AL: Honestly, I think it is a sin that this music went for so long not being heard and that performers didn’t put more energy into presenting this piece – or any music by this composer, for that matter. Of course, concert managers often think that only familiar repertoire will fill the hall. But I feel differently. Schmitt can do that as well. Not long ago, I presented the Buffalo Philharmonic’s recording of Schmitt’s Antoine et Cléopâtre on my Canadian classical music radio show. A number of people wrote to me, thanking me for helping them discover music that they found out was so amazing. So, I think we have to fight for this kind of music. I just signed a recording contract with Warner Classics, and together we are planning to release new recordings that feature the repertoire I played with Ferras, since I was his last pianist. I hope that the Schmitt will be one of those pieces — most likely with a violinist who is on the current artists’ roster of the label. PLN: That brings me to another question: Even though you didn’t have the chance to present the Sonate libre with Christian Ferras, have you performed the music since then? 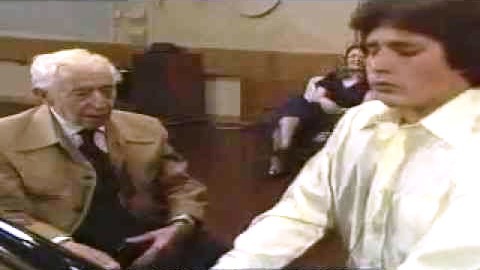 An Artur Rubinstein masterclass (Israel, 1980). AL: Yes, I did so shortly thereafter – but it was a private performance. It was in a salon as part of a master class with Artur Rubinstein along with an audience of about 30 students and other musicians. My brother Gilles and I performed one movement of the Sonate libre. Considering that it was in front of the great Rubinstein, I can tell you that it was a very tense moment and I was certainly sweating! PLN: Do you have future plans to perform the Sonate libre in public? AL: The first plan would be to record the piece. It would be a great dream to record it with Warner Classics. I’m certainly looking forward to making a recording with a violinist who can do the piece justice – giving the music all the attention and dignity that it deserves. After that, who knows? But I would love to perform this music wherever I can. We are particularly pleased to learn that Alain Lefèvre is making plans to record the Sonate libre so many decades following his collaboration with Christian Ferras — and we’re equally grateful to him for sharing his personal memories of that special collaboration from long ago. This entry was posted in Classical Music, Composers, French Composers, Instrumental Music and tagged Alain Lefevre, Andre Mathieu, Arthur Rubinstein, Christian Ferras, CNSMDP, CNSMP, Florent Schmitt, Gilles Lefevre, Paris Conservatoire, Pierre Barbizet, Pierre Sancan, Salle Gaveau, Sonate libre, Walter Boudreau, Warner Classics. Bookmark the permalink. 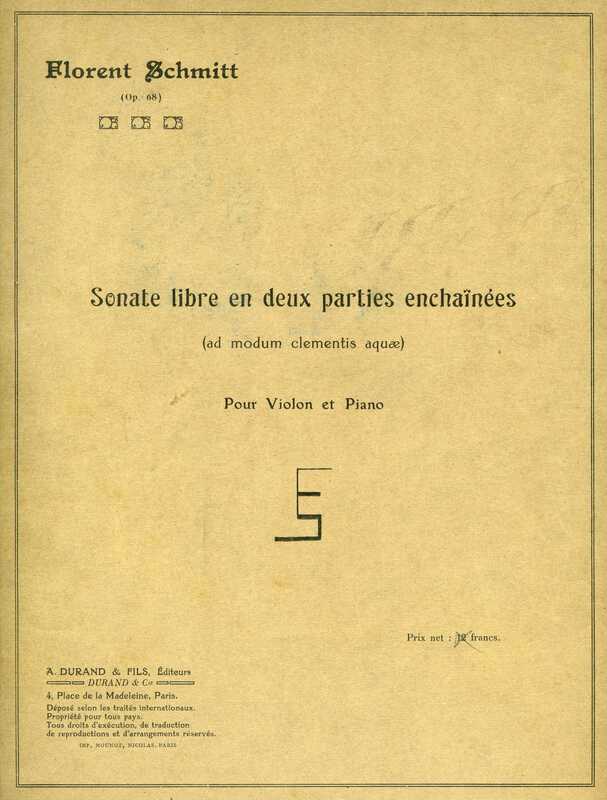 « Musicians of the Scarab Club Chamber Music Series Talk About Preparing and Performing Florent Schmitt’s Quartet Pour presque tous les temps (1956).